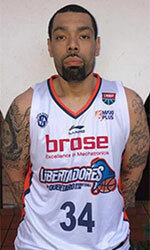 Sixth-ranked Luqueno (6-10) gave a tough game to third ranked Libertad (12-4) on Monday. The visitors from Asuncion managed to secure only one-point victory 74-73. However their fans expected easier game. Libertad have an impressive series of five victories in a row. They maintain third place with 12-4 record having just twelve point less than leader Olimpia. Luqueno at the other side keeps the sixth position with ten games lost. 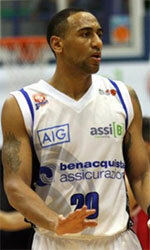 Metropolitan L. top team - Olimpia (17-0) had no problems winning another game. This time they crushed fifth ranked Campo Alto (6-9) 95-63. The victory was the seventeenth consecutive win for Olimpia. Defending champion maintains first place with 17-0 record. Campo Alto at the other side keeps the fifth position with nine games lost. Bottom-ranked Dep.Internac. (0-16) is still winless. But it was rather predictable considering how strong their opponent was. This time they could not use their home court advantage losing their 16th consecutive match to second ranked San Jose (16-1) 104-45 on Monday evening. The victory was the ninth consecutive win for San Jose. They maintain second place with 16-1 record having just seventeen point less than leader Olimpia. Dep.Internac. lost their sixteenth game in a row. They still close the standings. The game in was also worth to mention about. 7th ranked Felix Perez (3-12) played at the court of eighth ranked Ciudad Nueva (4-13). Ciudad Nueva managed to secure a 6-point victory 72-66. Ciudad Nueva moved-up to seventh place. Felix Perez lost their seventh game in a row. They dropped to the eighth position with 12 games lost.